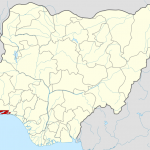 Following the announcement of the winners of the World Wildlife Day Film Showcase: Living Oceans, during a United Nations high-level event on Friday, March 1, 2019 at the UN Headquarters in New York; Nigeria is leading other countries to host the screening of some selected films. 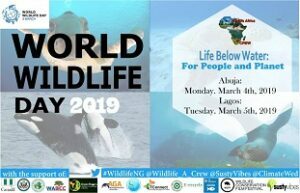 This is a part of activities organized by the Wildlife of Africa Conservation Initiative to commemorate World Wildlife Day 2019 in Nigeria and ultimately to promote Wildlife Conservation among Nigerians. In Abuja, the Canada High Commission will be hosting the movie screening/stakeholders’ engagement on Monday, March 3, 2019, while the U.S Consulate will be hosting a similar event in Lagos on Tuesday, March 4, 2019 at the U.S Consulate Multi-Purpose Hall, VI, Lagos.